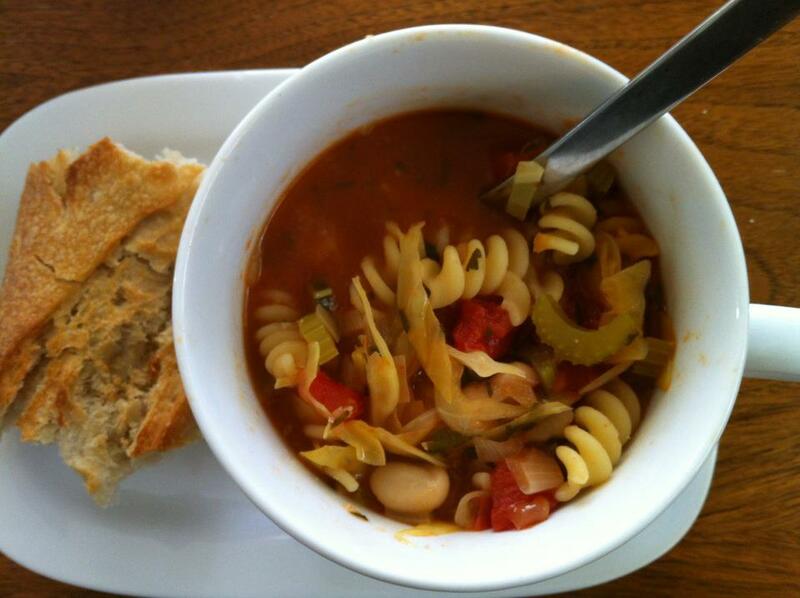 Minestrone Soup on a sick day. P was home from school with an on-going fever all day. I am also sick. The only food I crave when I’m sick is homemade basic food and lots of fresh fruit and veggies. I’m really not a fan of minestrone soup, but I had 2 heads of cabbage to use up. Then when I read this recipe it sounded so soothing I had to try it. It was wonderful and a baguette made it perfect.